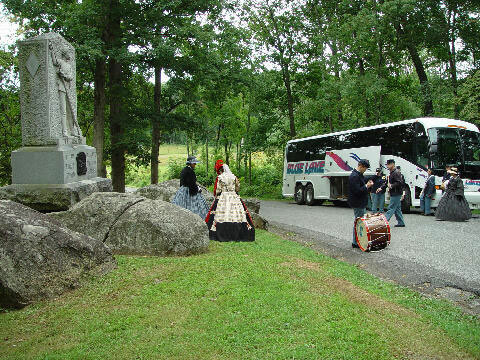 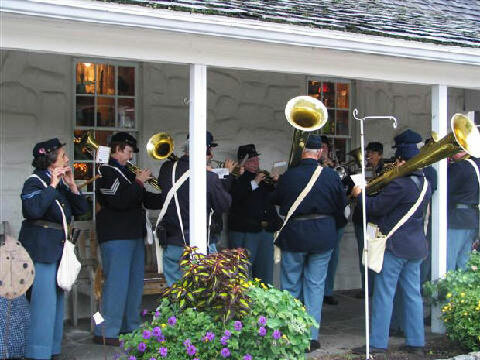 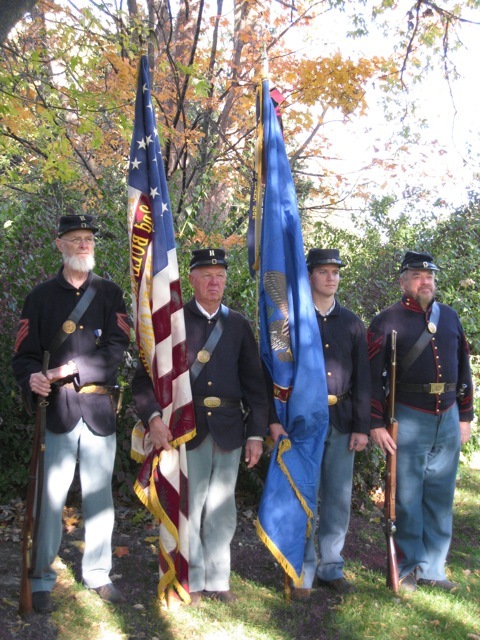 Many Civil War bands had a colorguard that included flagbearers and artillery soldiers to protect the flags. 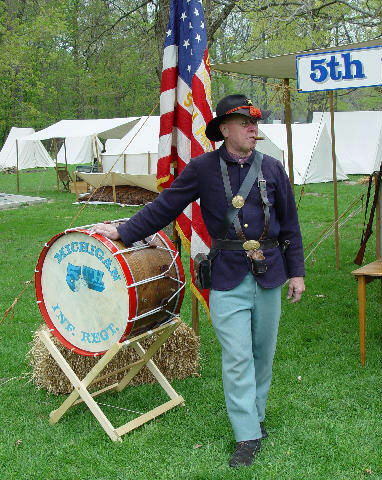 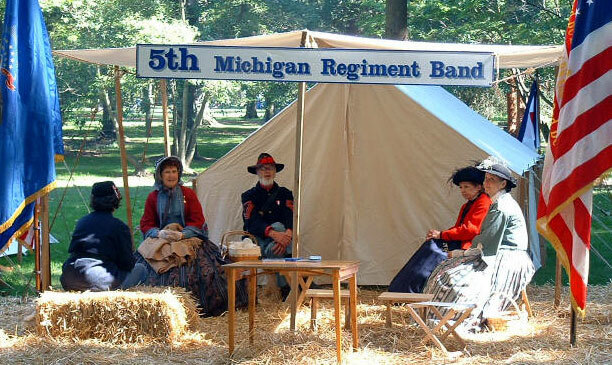 Today’s 5th Michigan Regiment Band is presented by the USA Civil War era flag and the 5th Michigan Regimental flag. 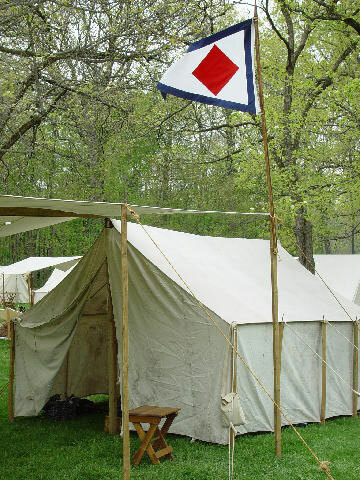 Names of battles the unit participated in are stitched on the cotton and silk banner. 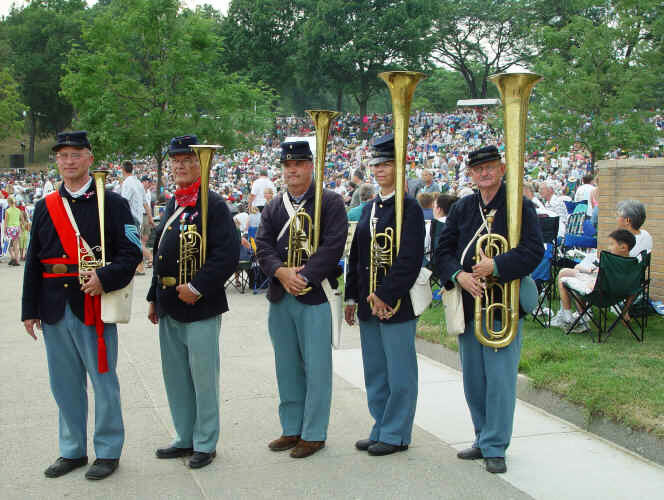 The artillery soldiers are armed with muskets which are correct for the period.